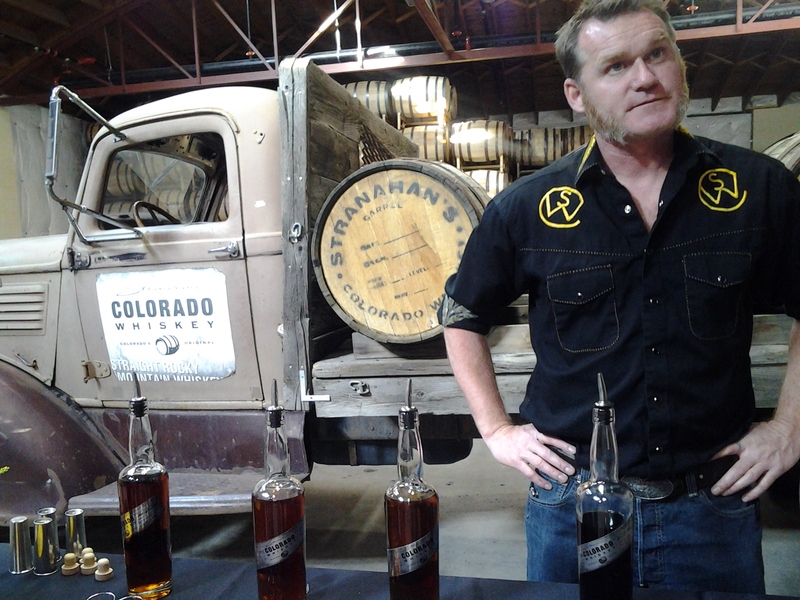 Stranahan’s Barrel No. 5000. May 30, 2013. 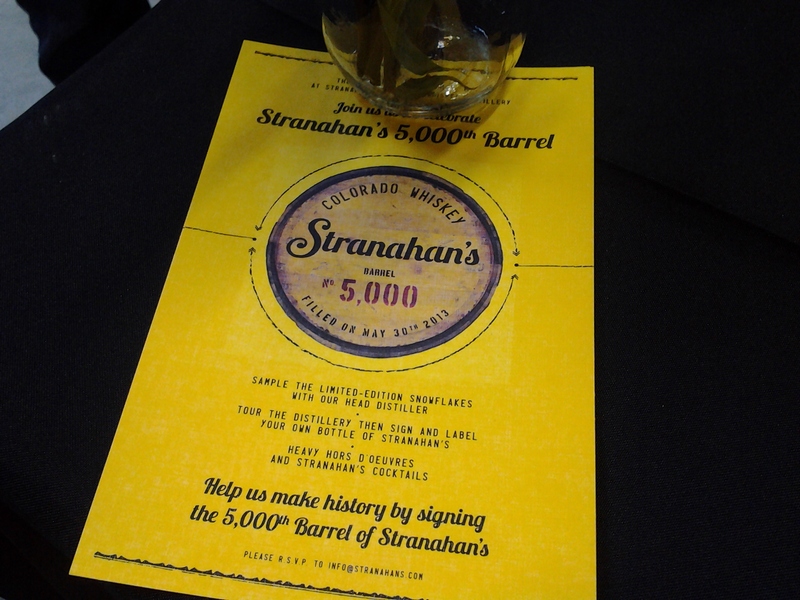 Last Thursday evening I had the pleasure of attending the Stranahan’s 5000th barrel party. It was held in their new barrel house, which I refer to as “Wooden Wonderland.” In fact, that name got me on the list for the party, via a Facebook contest–yay! It was such a fantastic event! There were Hors D’ Oeuvres, Stranahan’s cocktails, distillery tours, even Sweet Action ice cream sandwiches: Snickerdoodle cookies with Stranahan’s ice cream in between! Oh my was that heavenly–I could really taste the whiskey in it. And the most exciting part to me was getting to sample four different kinds of “Snowflake” Stranahan’s. The first was aged in a Malbec barrel from Spero Winery, the next in Hungarian White Oak, another in a cherry wine barrel, and the last in a Conundrum Peak Syrah barrel. It was the first time I’d had any of the Snowflake editions, and they were all wonderful. I tried to pick a favorite, but I came up with a four-way tie. Party-goers were invited to sign the 5000th barrel before head distiller Rob Dietrich pounded in the bung. Plus, we each got to take home our own bottle of Stranahan’s and had the opportunity to sign and label our bottles–so cool! 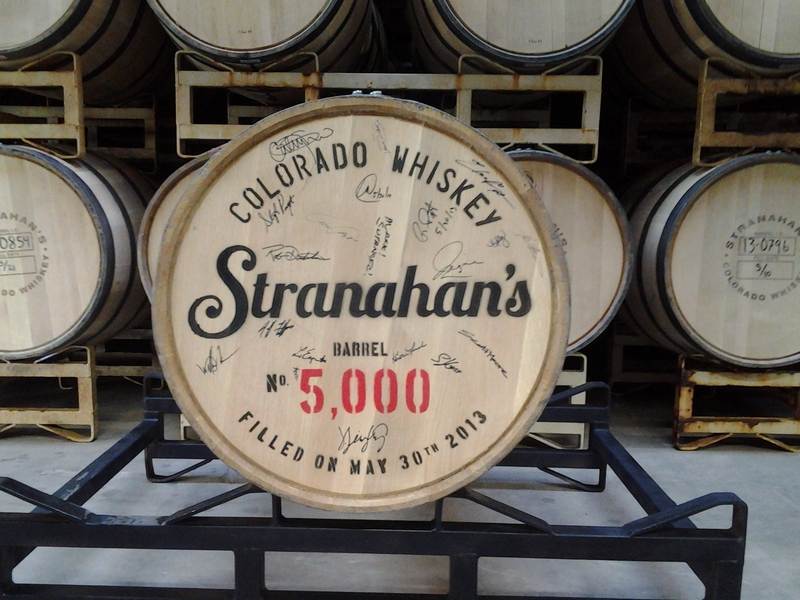 It was history in the making, and the folks at Stranahan’s really did it up right. I had a great time, and I feel lucky and honored to have been a part of it all. Congratulations, Stranahan’s! And thank you! 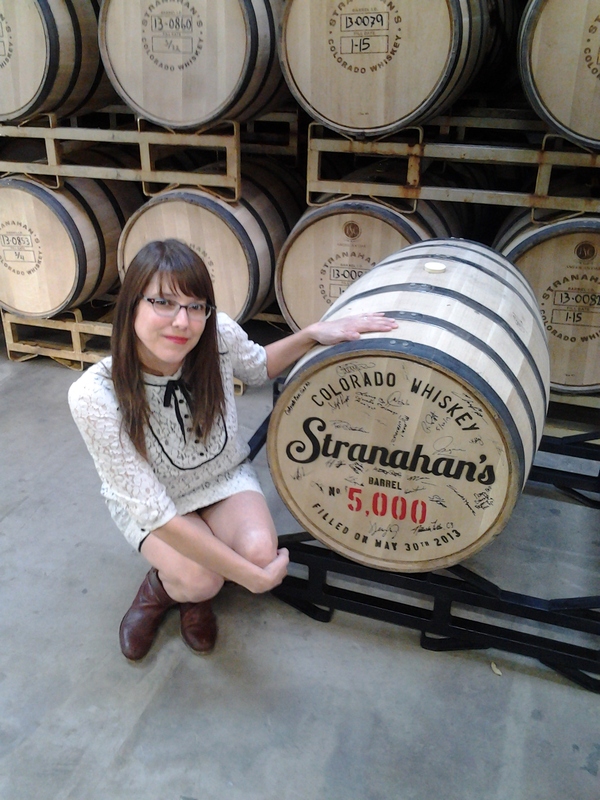 Me with Stranahan’s Barrel No. 5000!